I am Karen Nason and this release is to you to let you know about the Theatre piece I am producing at Mile Square Theatre in Hoboken NJ. 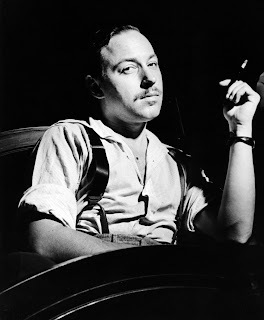 This year marks the centennial year of Tennessee Williams and I will bring from HB studios in NYC "Merciful Delusions" a Four Act Play of Tennessee 's work. The performances are Friday, Saturday 6pm wine, food and start 7 PM show. Sunday Matinee 2PM Desserts and Coffee included as well. I was originally doing this as a great fundraiser for my run, but have decided with all the hurricanes and the tragedy of the country, 100 per cent of the proceeds will go to charity Globalgiving.org Tickets are suggested $40.00 but I will be giving away many tickets for others who may not be able to afford. Arts and Culture a wonderful evening and a wonderful theatre!